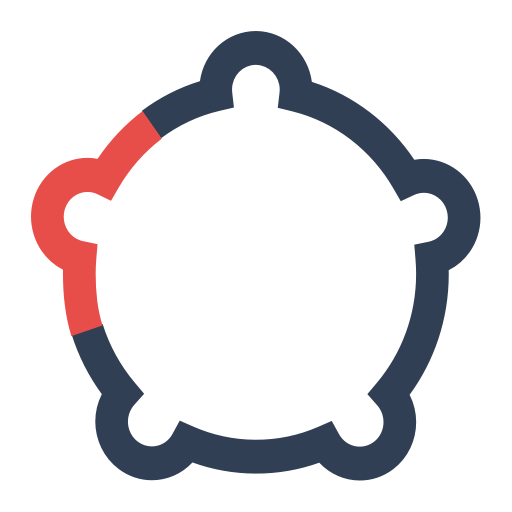 • Reply to notes where you are mentioned directly from SlackContact our support team at support@teamable.com if you have any questions. 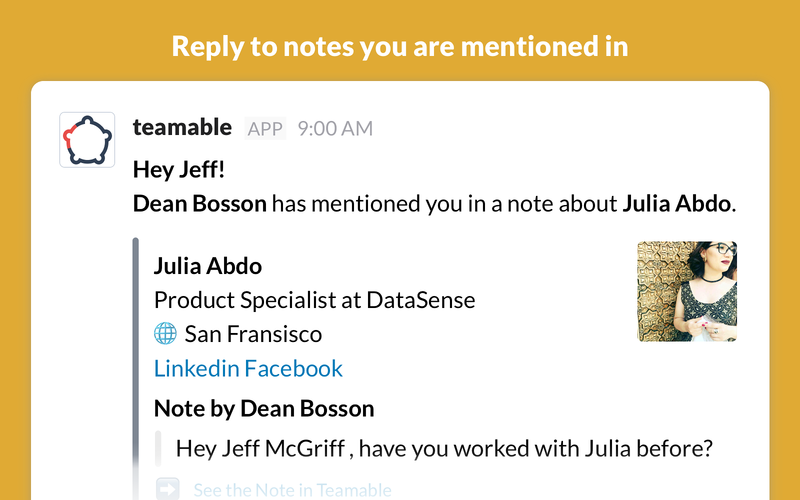 Teamable will be able to view the email addresses of your Slack workspace’s members. 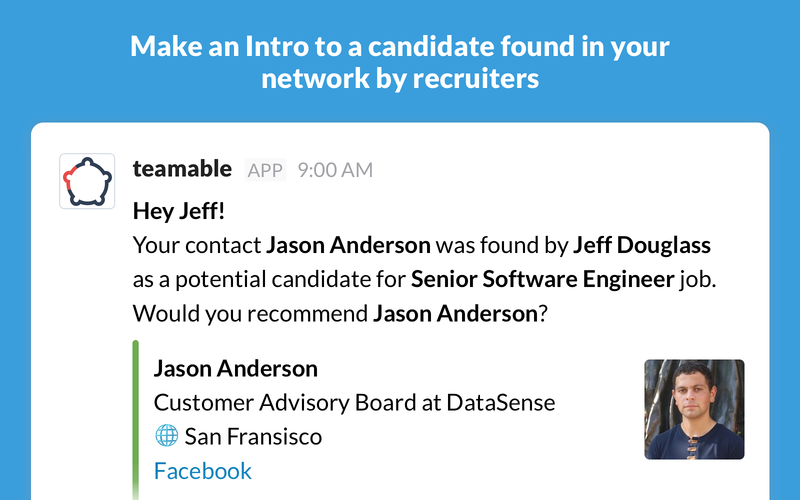 Teamable will be able to install a bot user that appears in and has access to your workspace’s directory. It can also post messages and view activity on messages in any channel it is invited to. 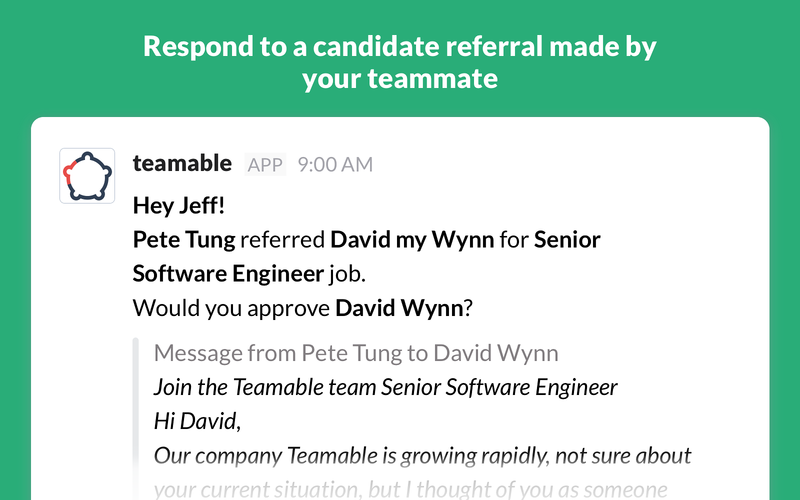 Teamable will be able to access profile information for all users on your workspace, including names and contact information.